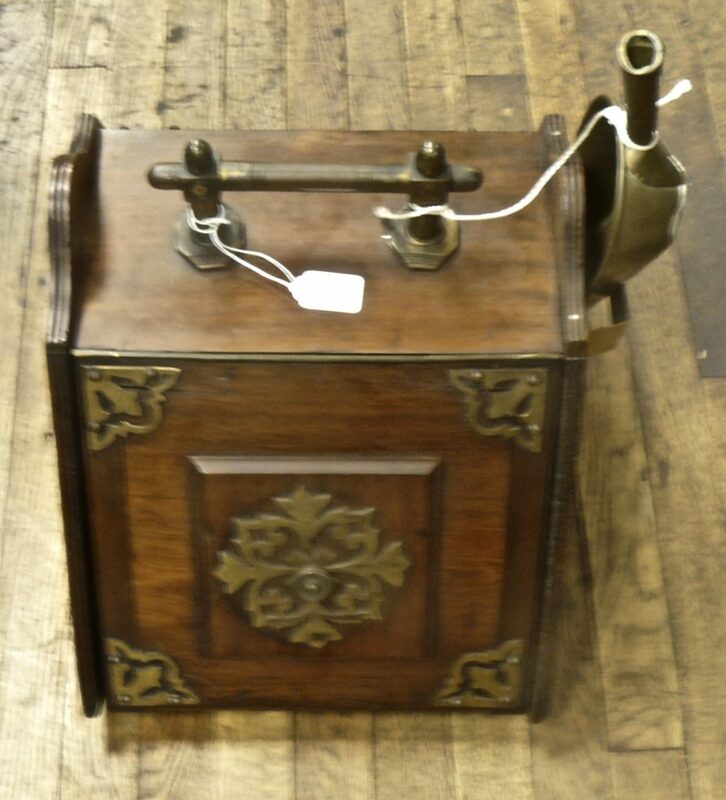 English Coal Scuttle w Brass Scoop (Marked 1868) – $179.00, Booth 2. 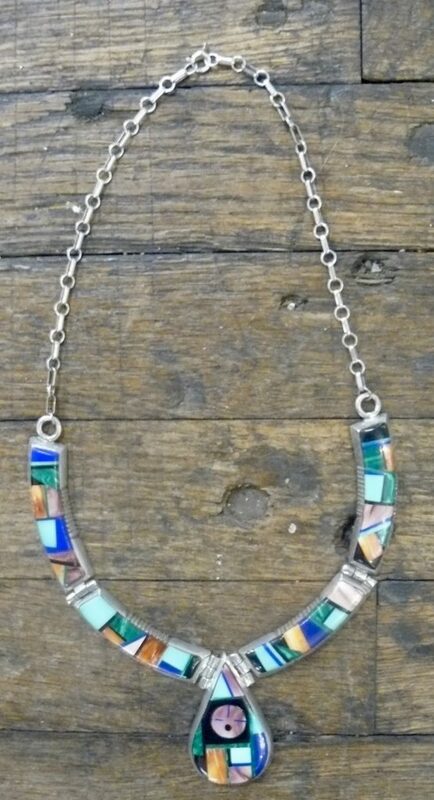 Vintage Sterling Inlay Collar Necklace – Frank Yellowhorse – $600.00 – Now 30% off! Booth 32. 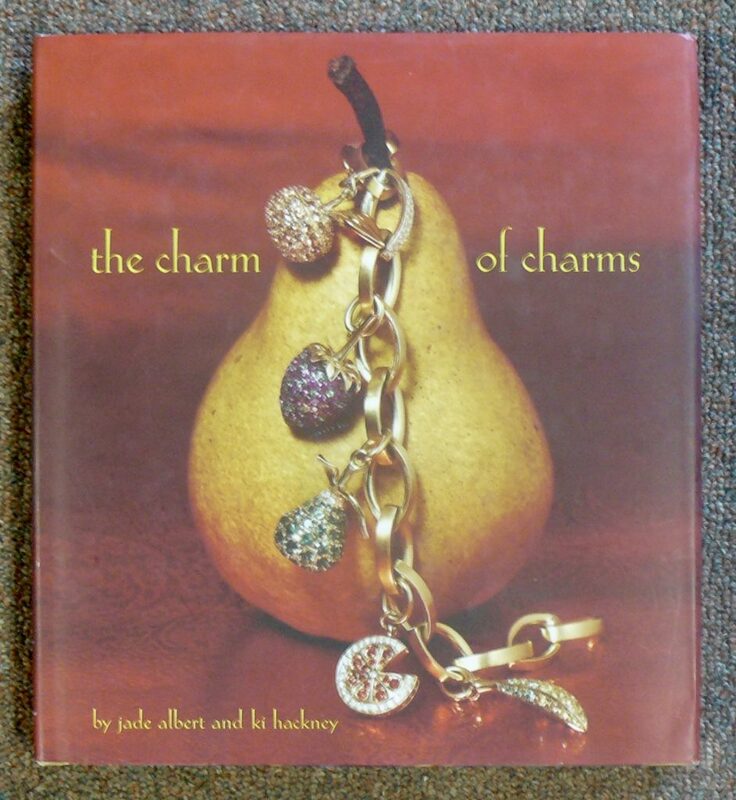 Book on Jewelry: ‘The Charm of Charms’ by Jade Albert and Ki Hackhey Beautiful Book – Well Illustrated – Hardcover/Jacket – $12.00, The Book Room. 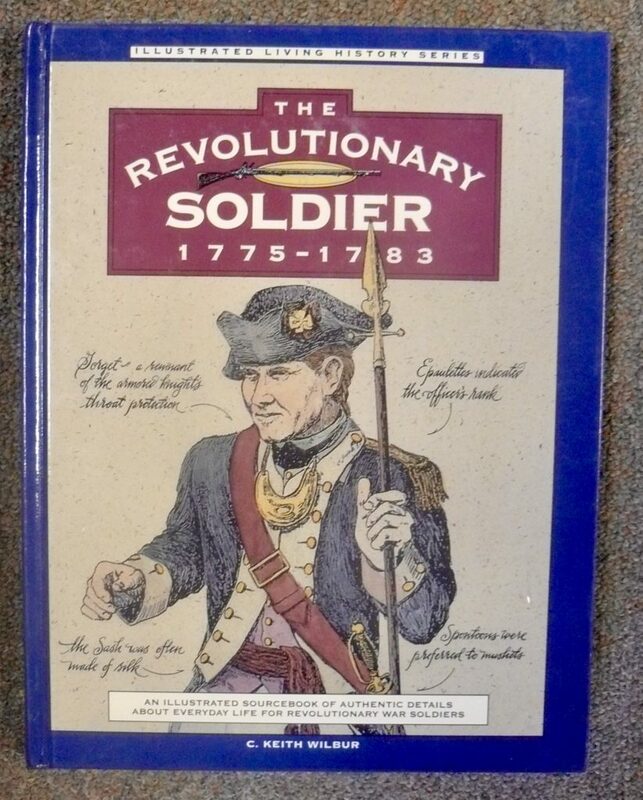 Well Illustrated Hardcover, ‘The Revolutionary Soldier, 1775 – 1783’, $11.00, The Book Room. 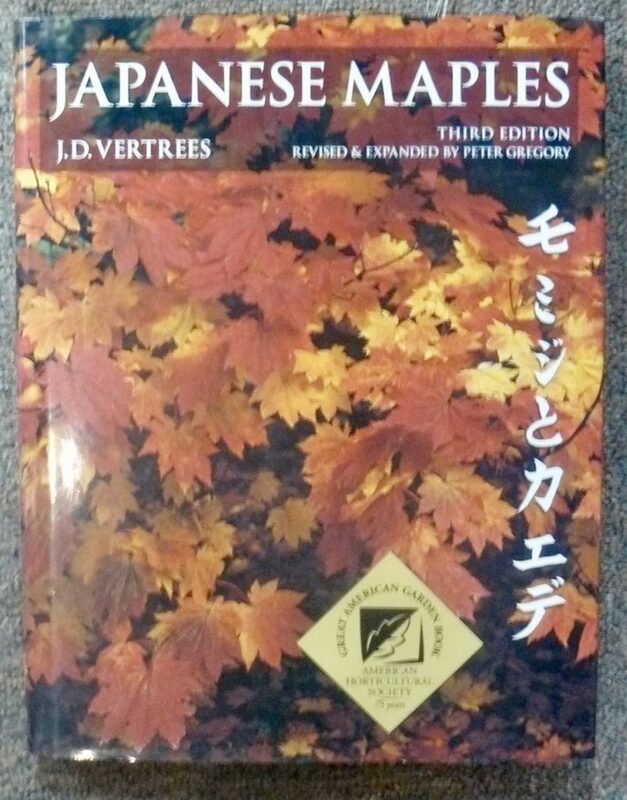 “Japanese Maples’ by J.D. Vertress, A Beautiful Book by Timber Press and a Bargain at $19.00. (3rd Edition, Hardcover/Jacket, Nice Shape). 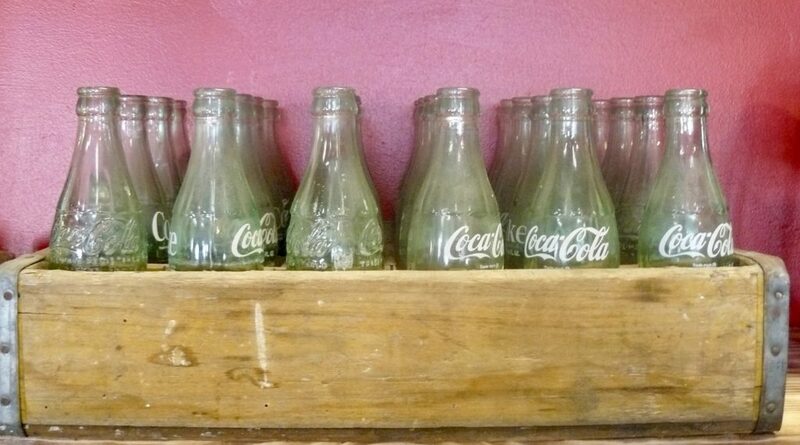 Cool Wooden Flat of Coca-Cola Bottles from Booth 316, $75.00. 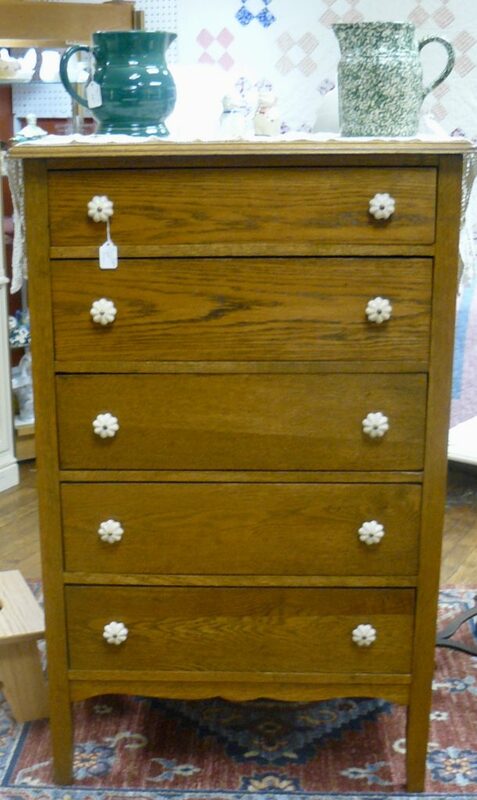 Tiger Maple Chest of Drawers – 19th Century – Booth 218, $650.00. 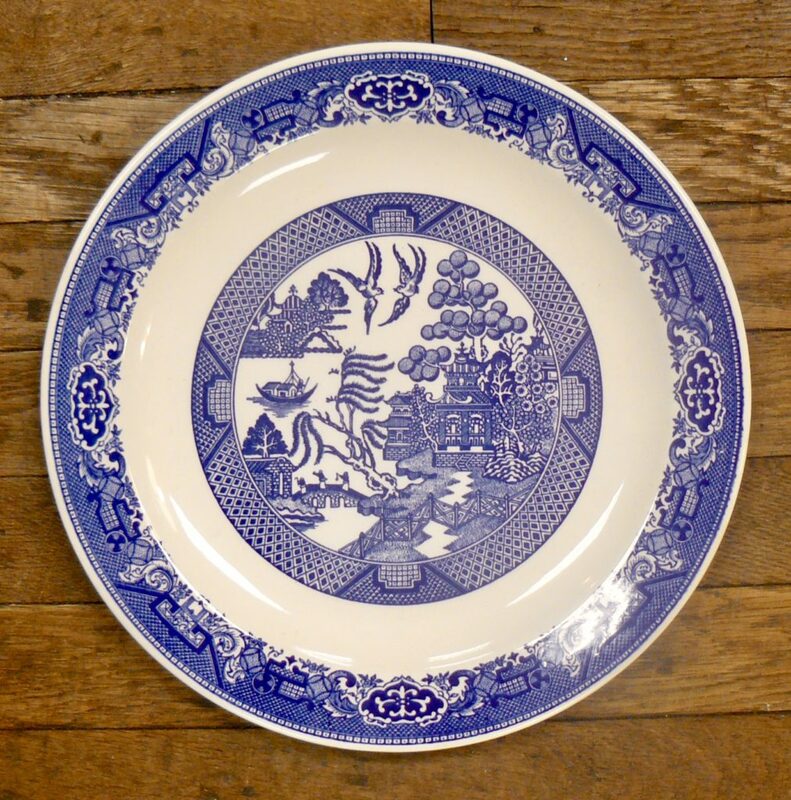 Willow Ware Plate/Platter (Large) Three Available – Booth 150, $25.00. 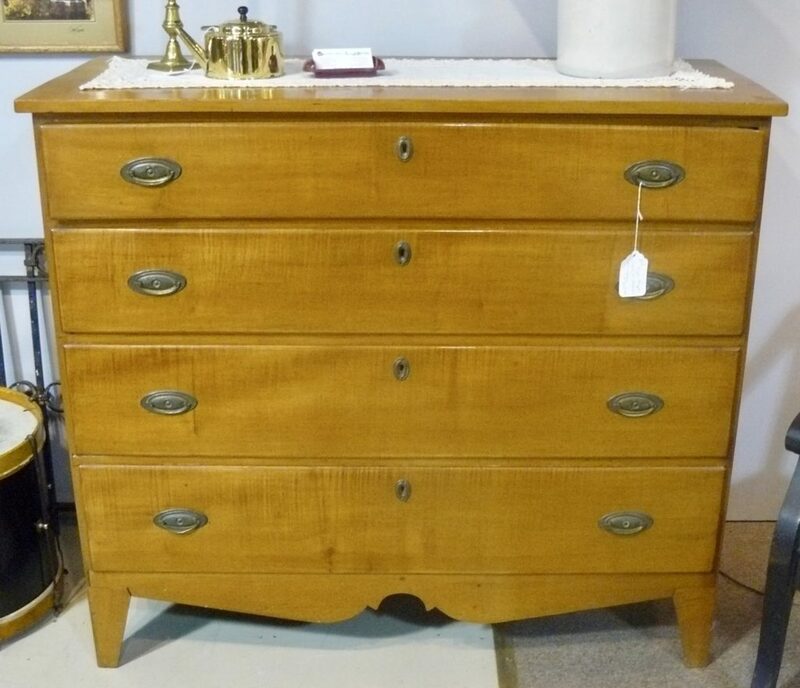 Oak Dresser w Unusual Glass Knobs – $350.00 – Booth 31. 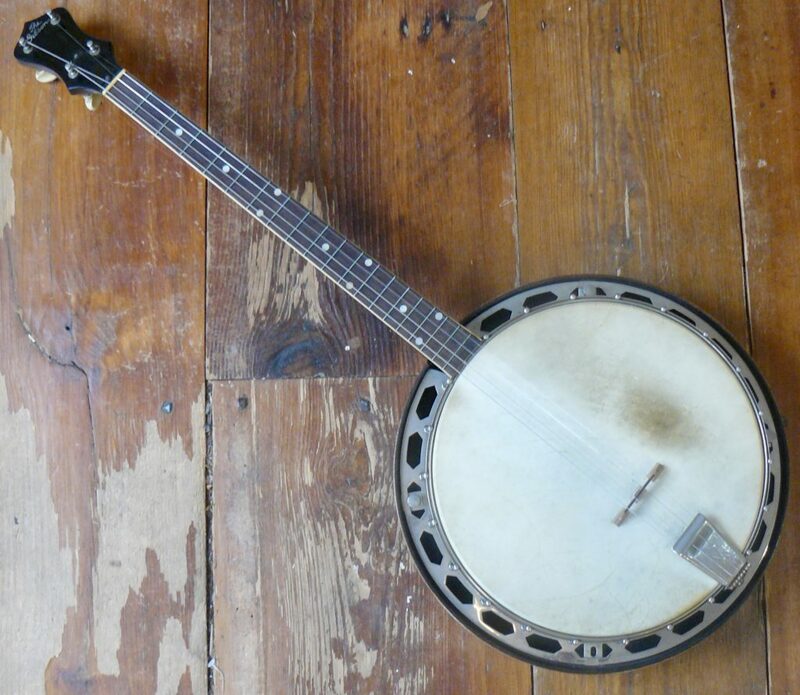 ‘The Gibson’, Tenor Banjo – Dixie Land Jazz – Early 1920’s, $575.00. Iron Rose. Vintage Silvetta 8 String Mandolin – German Made, $75.00, Iron Rose. 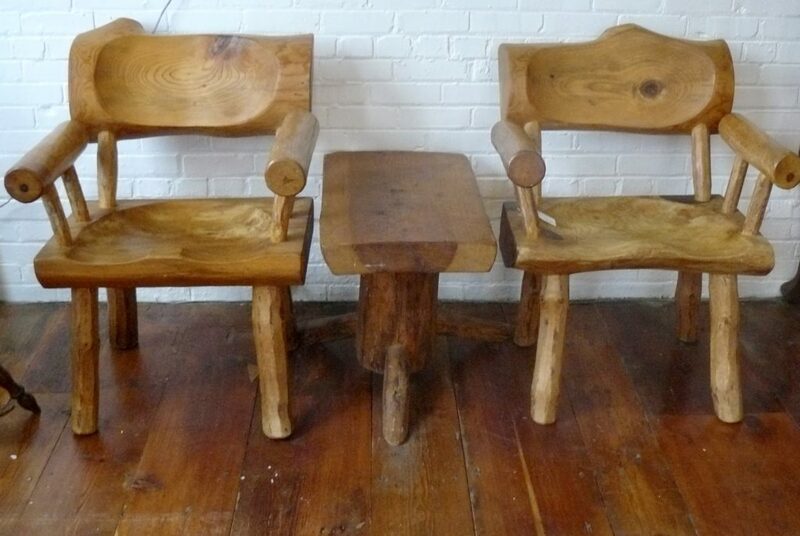 Interesting Heavy Duty Handcrafted/Carved Set – Two Chairs and a Side Table, White Pine, Very Well Priced at $275.00, Iron Rose. MORE One-of-a-Kind Items for Your Consideration! ‹ A Flat File, An Old Apple Peeler and a Cast Iron Dinner Bell!